We finally finished our zooplankton survey and since we had two days to spare, we steamed down into the Gerlache Straight, off the Antarctic Peninsula for a fun day off. The Gerlache Straight is famous for its scenery, but when I awoke it was snowing and it continued to snow all day. At first we were all slightly disappointed; the snow blocked our view of the landscape. 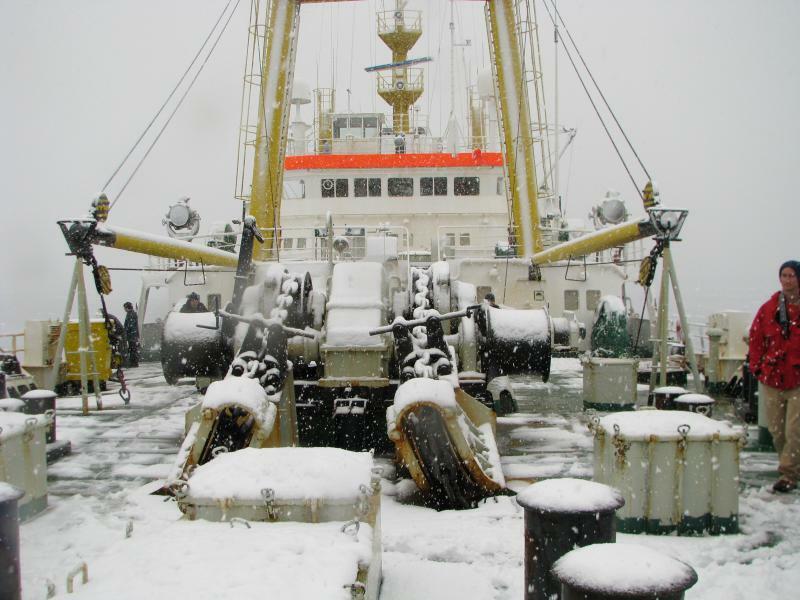 But as the day carried on, the gently falling snow covered the boat, cultivating a surreal landscape. The water was calm and covered in a thick layer of snow which began to clump, forming what’s known as ‘pancake ice.’ There were icebergs and bergy bits everywhere, all covered in a fresh layer of white. Our weather in the Gerlache Straight. 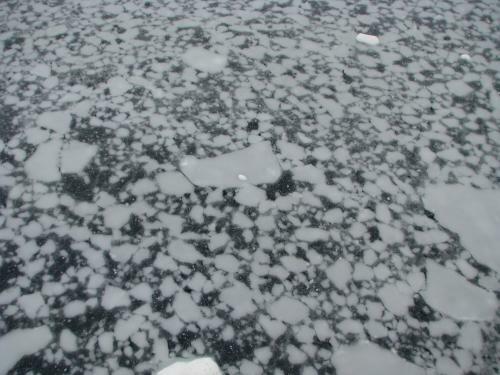 A close-up of the pancake ice forming on the water. The falling snow covering the boat. Seabirds of all kinds and fur seals were taking refuge on the small bergs. We couldn’t see the mountains but once the whales came by we hardly noticed. We had come upon a feeding ground and there were whales everywhere, rolling, fluking, and flipper slapping in front of the boat and on both sides. 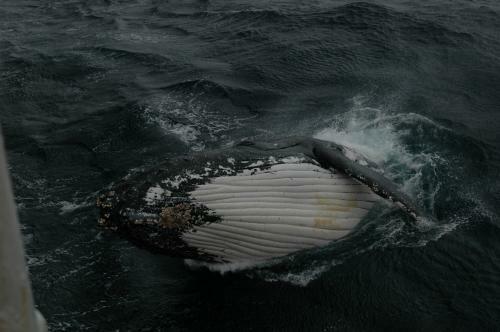 Humpbacks rolling, flipper slapping, and putting on a show by the side of the boat last year. The captain cut the engine so we could stop and watch. The water was so still, that in the ice free areas I could make out the white and blue silhouette of the whale just below the surface. It was incredible that this ice filled, snowy, cold environment was just teeming with life. Gathering on the bow to watch the whales. 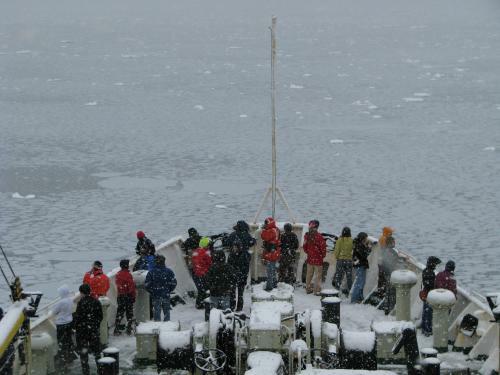 Most of the scientific crew as well as the field camp personnel and the Russian crew were out on the bow of the boat taking in the scene, furiously snapping photographs, and throwing the occasional snowball of course. No matter how many times some of us have been down here, no matter how much snow and ice we’ve seen, it’s still awe-inspiring for us all. Nearly the entire crew came out on deck to see the scene. 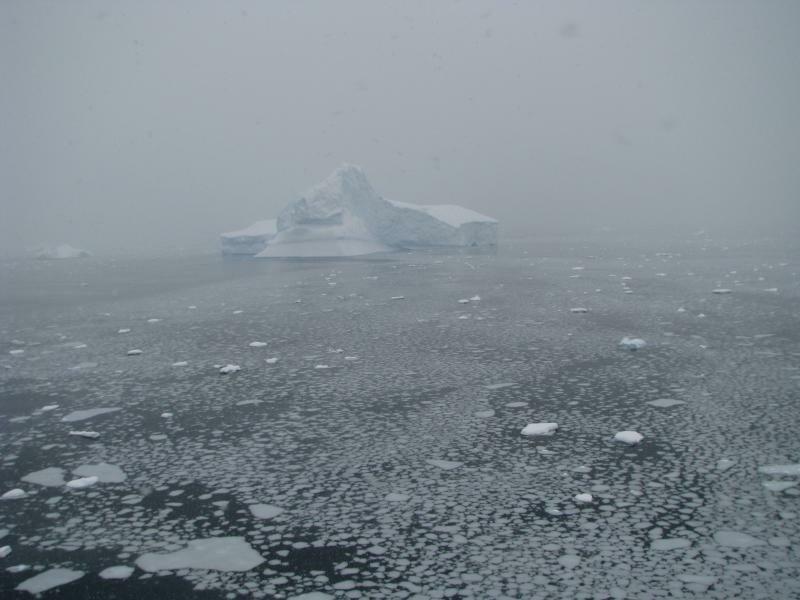 In 1961, with the initiation of the Antarctic Treaty, Antarctica was officially deemed international territory. Over forty nations are involved, nine of which are represented by this year’s AMLR crew. 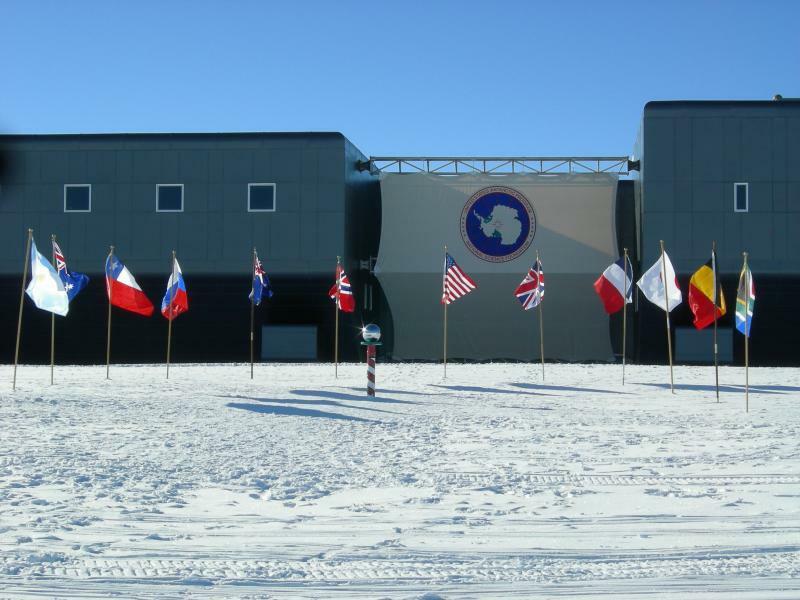 The Antarctic treaty established Antarctica as a place dedicated to science, and though many countries conduct research throughout the continent and surrounding waters, no one can claim sovereignty here. These flags at the South Pole represent the twelve original signatory nations of the Antarctic Treaty. 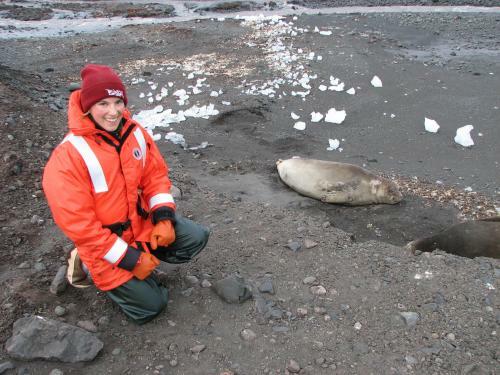 We all have a responsibility to manage Antarctica for the international good, to do our best to learn as much as possible about this polar environment. That includes how humans are affecting it via climate change, which will affect everyone. 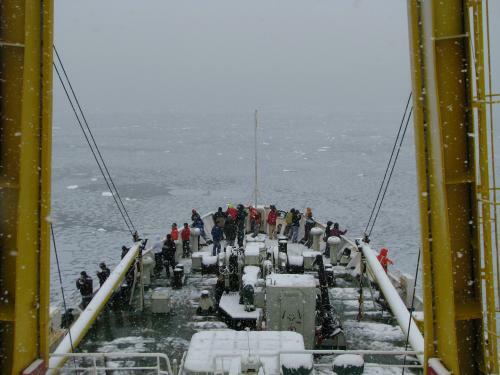 We have a responsibility to protect its resources and ecosystem, to make the best choices about how we fish Antarctic waters and how we manage Antarctic resources, and to educate each other, as I have tried to do through these dispatches. I thank you for sharing the adventure with me. Thanks for coming along on our journey. Nations represented in this year’s AMLR cruise: Poland, Turkey, Russia, USA, Canada, Columbia, Chile, Australia and South Africa. I am only 12 years old but i am soooooooo glad that you had fun! I want to be a vet when I get older so that will be fun! Im glad you had a great time tell us more about it in greater detail please!?!?!?!?!!!!!!!!! It greatly pleases me that you enjoyed the posts! I have so many stories I could tell about my adventures down south. What would you like to know about specifically? Good luck on being a vet! You will be doing very great work in the world! The animals will surely appreciate you. Unfortunately I did not go scuba diving since we do surveys with nets and not underwater. Maybe some time in the future though! 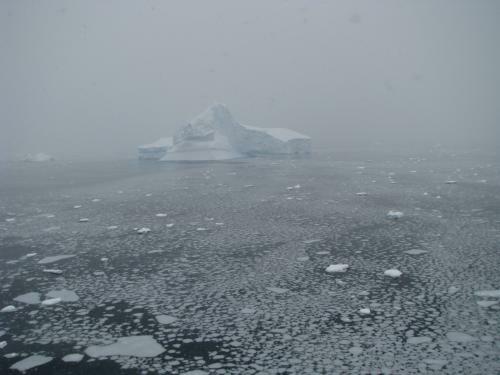 Would love to be in the antarctic some day. I have a question on the Toothfish. Is this a similar specie to the Patagonian?Is the flavor profile similar also? Good question on the toothfish. The Antarctic toothfish and the Patagonian toothfish are similar. They are in the same genus (Dissostichus), but different species. The Patagonian toothfish is Dissostichus eleginoides and the Antarctic toothfish is Dissotichus mawsoni. They are both known on the market as Chilean Sea Bass, so I suspect they taste the same!